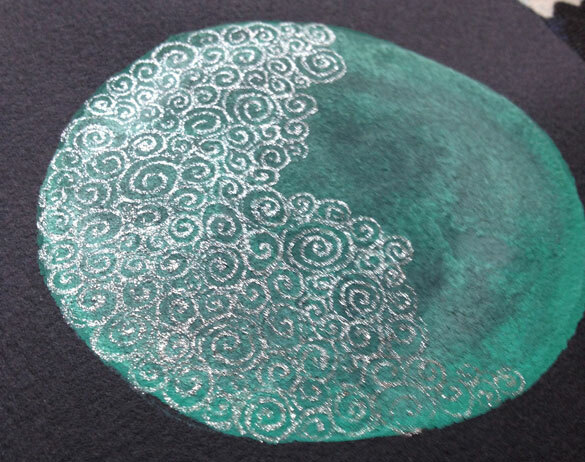 This is sort of a Slytherin moon in silver and green, with a few green glittery spirals hiding in among the silver as well as a green halo around the whole moon. Although you can’t see them in the scan above, there’s little flecks of silver and green glitter in the black sky background like distant, tiny stars that catch the light at just the right angle. 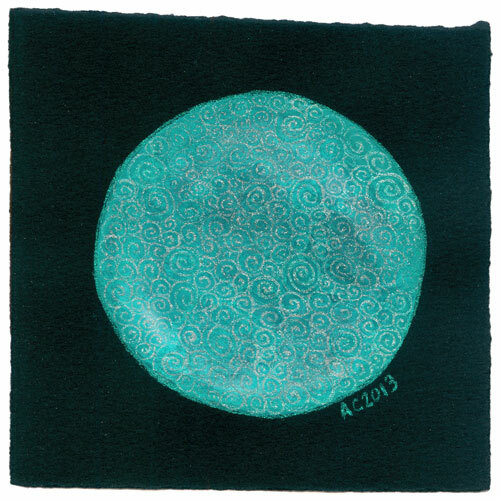 Filigree Moon 3, 5″x5″ Japanese watercolor and glitter gel pen on Arches cover black paper. You can see not only the green glitter in with the silver, but a few little glimmering stars out in the black velvet space. 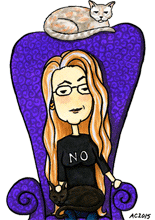 Above, you can see the moon before it got its decorative filigree. 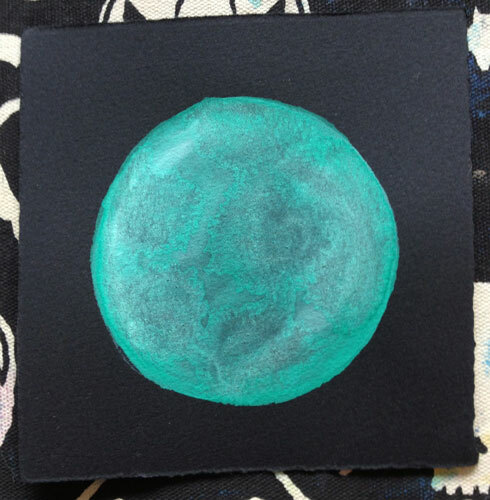 I love the subtle textures as the green and white paint mixed and moved around on the paper, making formations like real moon geography. 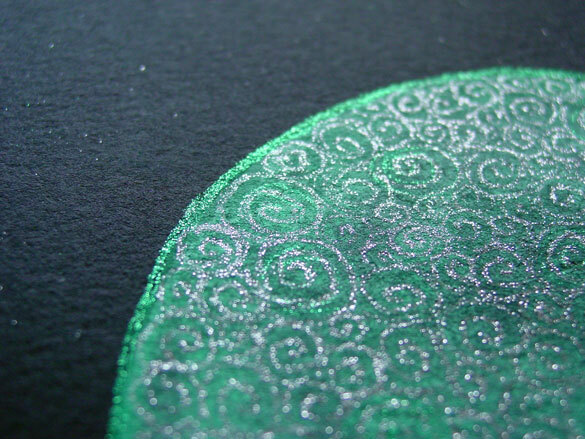 Below, you can see the silver spirals about halfway done, the paper angled to catch the light and really make the glitter shine. And finally we have the framed photo, showing how subtle the filigree can be from some angles. 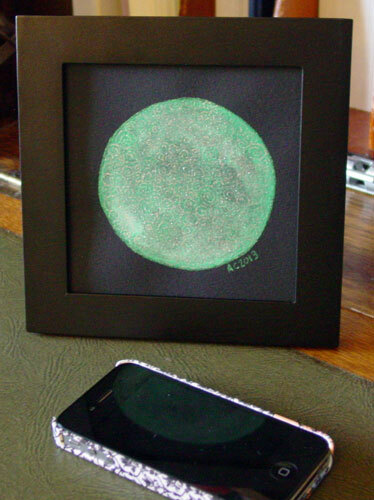 Despite the slightly odd angle of the torn paper, it fits perfectly into a standard 5″ square frame.